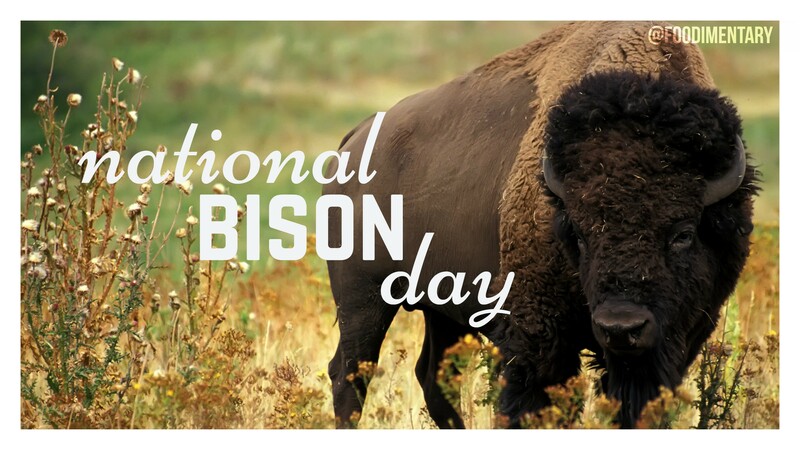 November 1st is National Bison Day! Bison are also called Buffalo. The American bison and the European wisent are the largest terrestrial animals in North America and Europe. A bison’s hump is composed of muscle, supported by long vertebrae. It allows the animal to use its head to plow through snow. Fossils and accounts from early travelers show that Yellowstone National Park is the only place in the U.S. where bison have lived continuously since prehistoric times. The Yellowstone herd is one of the few that remains genetically free of cattle genes. 1841 The first wagon of settlers left Independence, Missouri for the trip to California. 1962 Antony Kiedis of the music group ‘Red Hot Chili Peppers’ was born. 1997 Victor Mills died. He was a chemical engineer who worked for Proctor & Gamble. Among his many accomplishments, he improved Duncan Hines cake mix, and Jif peanut butter, and invented Pampers disposable diapers. 2009 The last issue of Gourmet magazine was published this month.